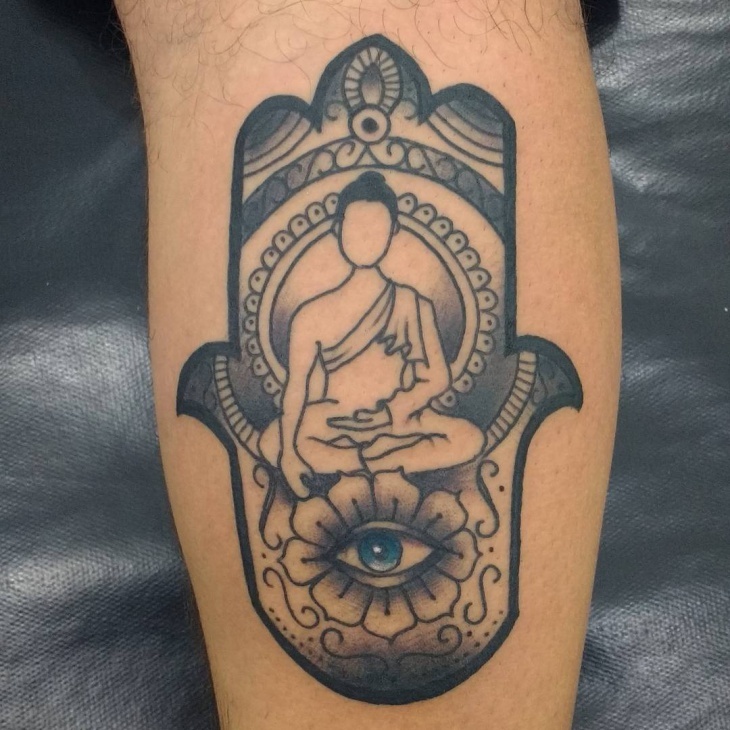 A spiritual tattoo is a way of protection against anything evil as well as for spiritual boosting. 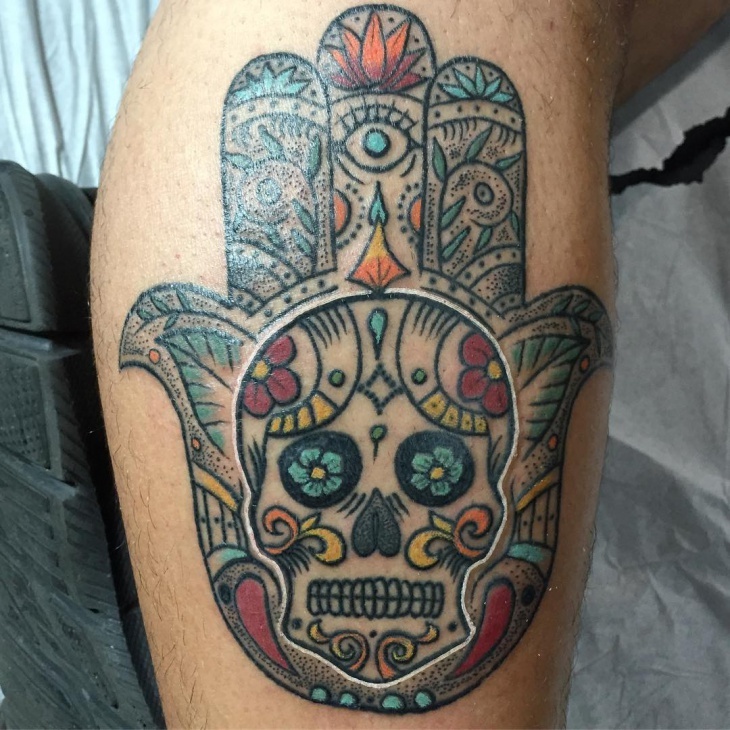 A part of the spiritual tattoo’s family is the hamsa tattoo. 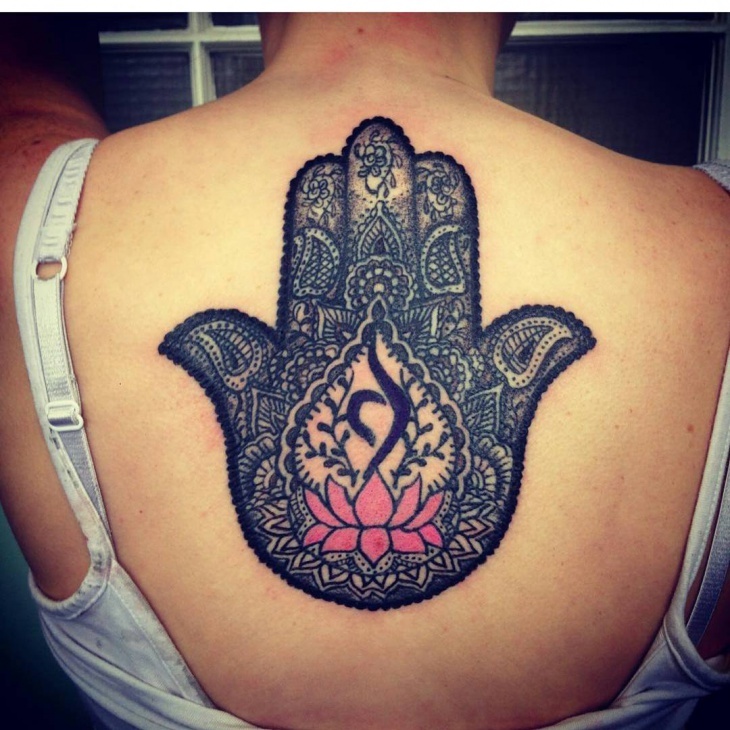 Hamsa is a beautiful design depicting a right hand in an open palm position. 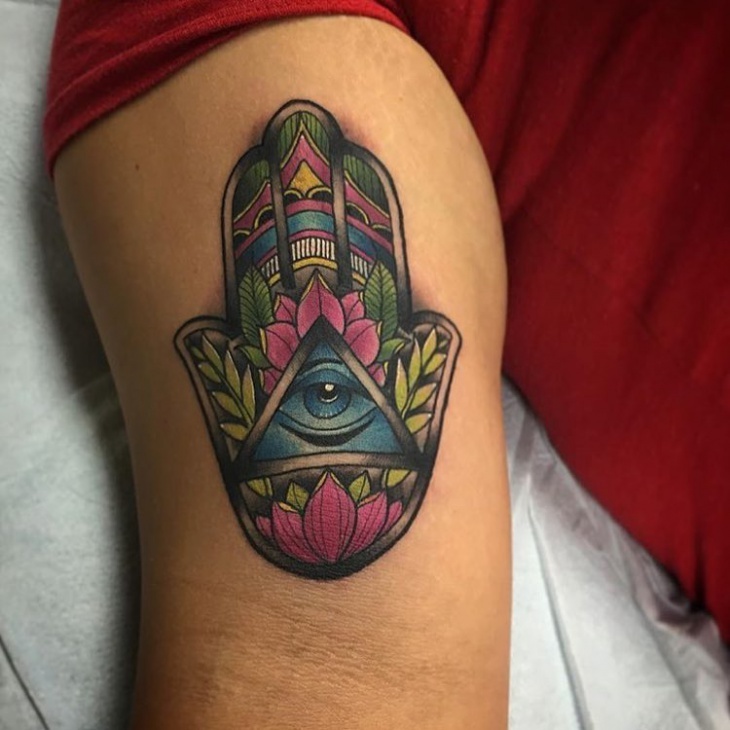 In case you are in search of a new tattoo with healing or protective characteristics then check out the following collection of hamsa tattoo designs that we have put together for you today. 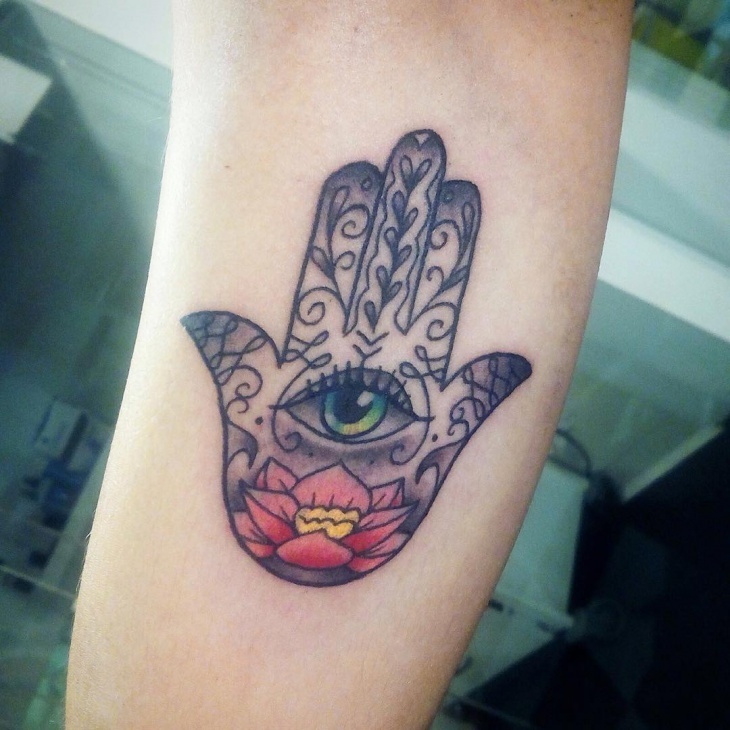 This is a hamsa tattoo showing a hand with earth elements and a blue eye in the middle. The beautiful design with the curvy lines and the flower elements is suitable for women. The design requires some skill to achieve. 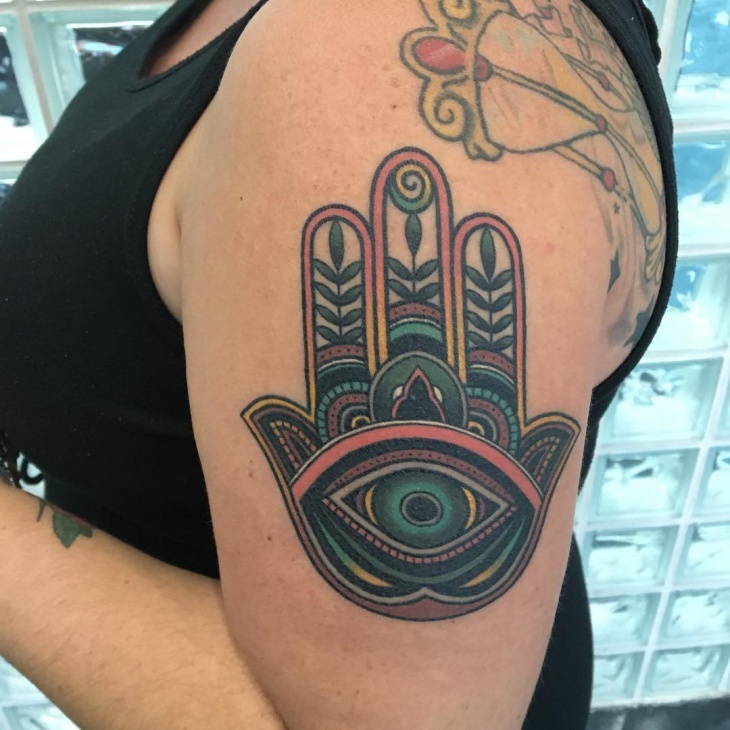 A smaller version of the hamsa design. 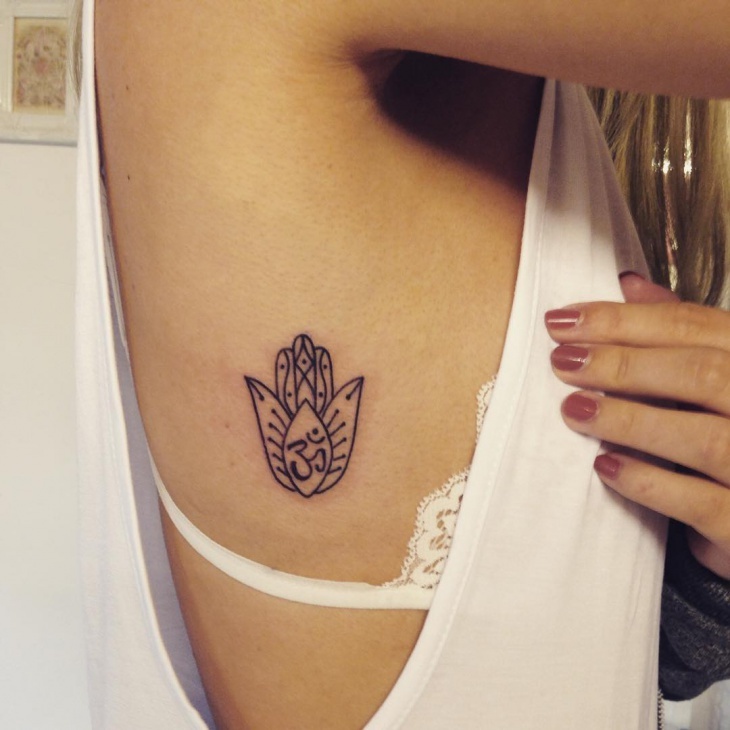 The abstract flowers have a feminine look that is going to look amazing in any body part you decide to ink. You can get a simple lining with minimum to no shading. 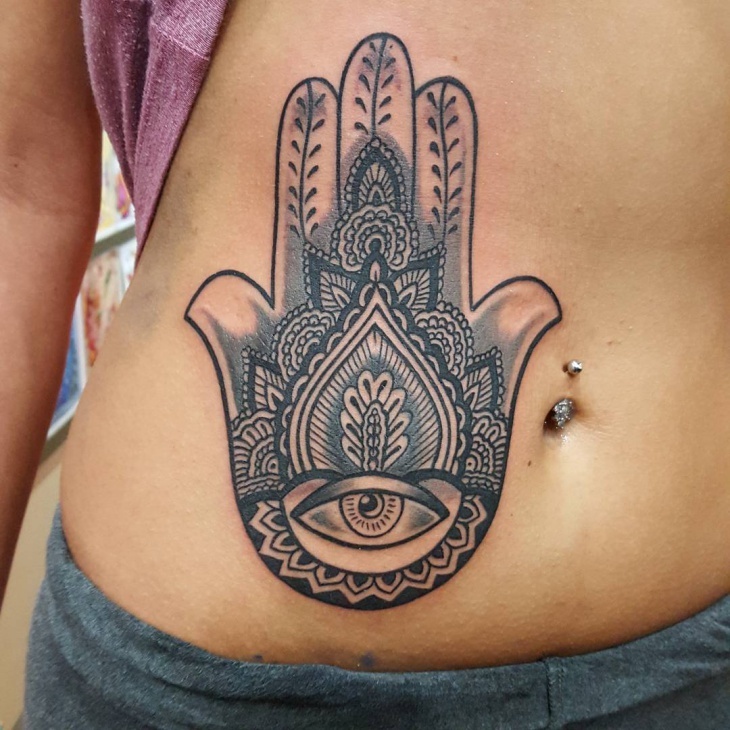 This is a hamsa design with an upside down twist. The green colors combined with the drawings offers a serene and at the same time fierce look. You can also have it in a black and white color. 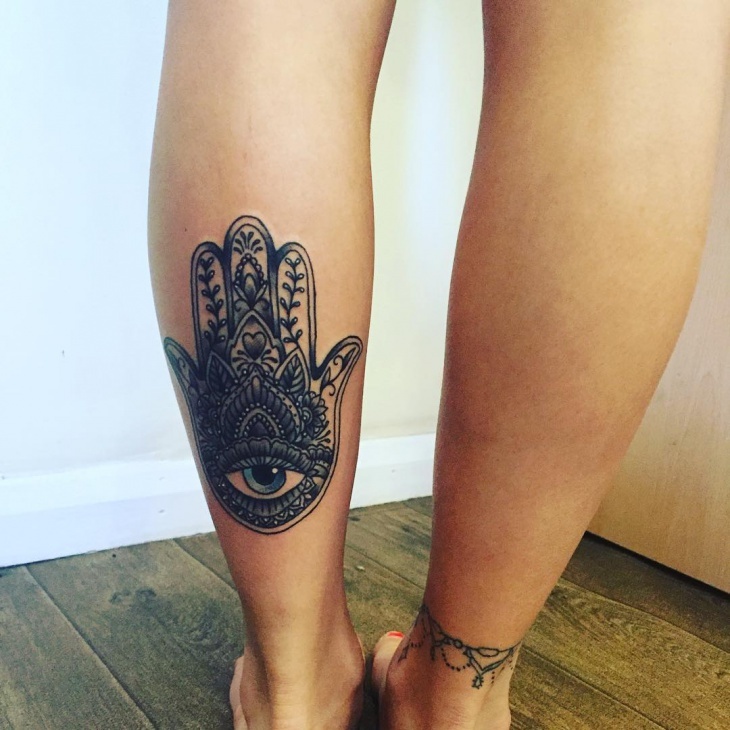 You can combine different tattoos for a stunning synthesis. 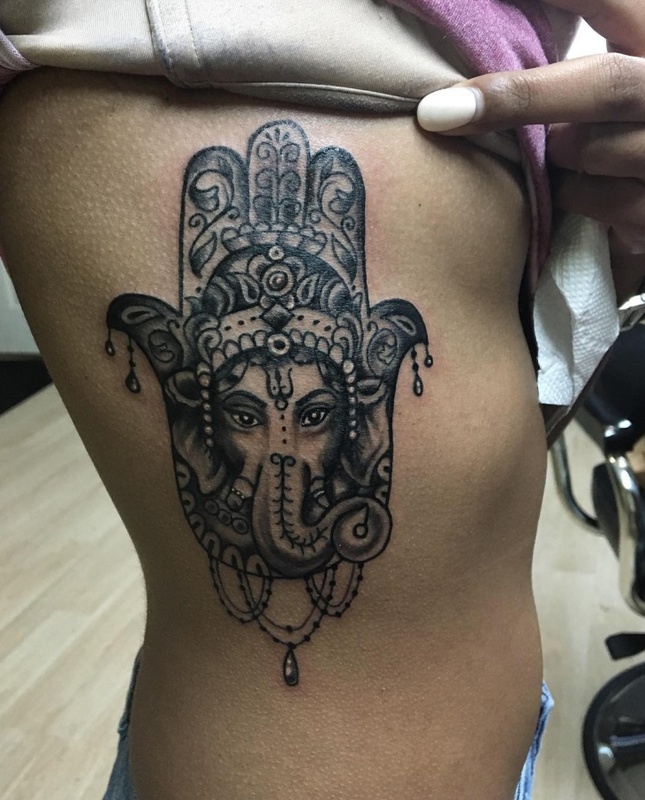 In this case hamsa with ganesha tattoo. It depicts a woman with elephant features inside an open palm. The shading as well as the lining might take some time to complete. 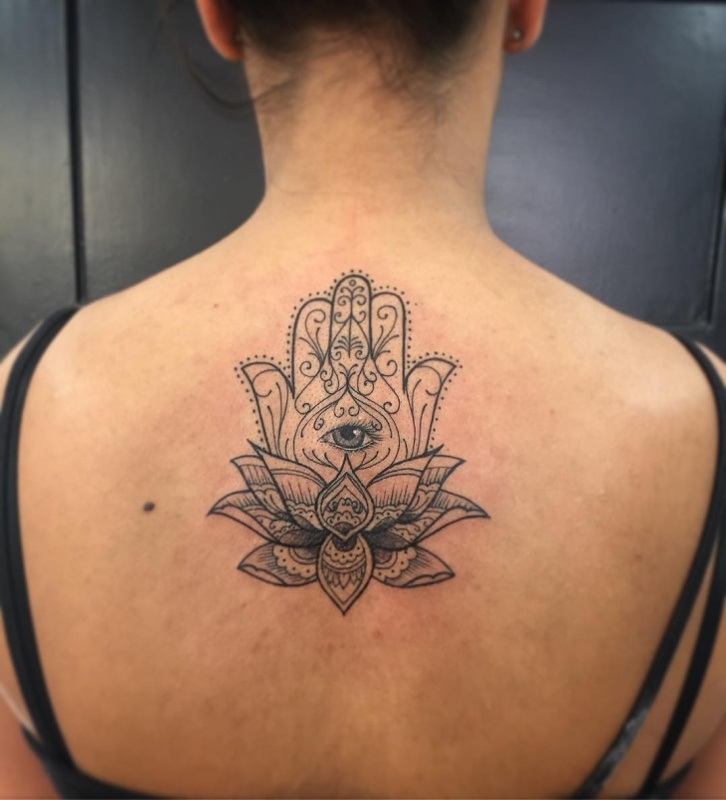 Another variation of spiritual tattoos is the hamsa with a Buddha tattoo. This is the great design if you aim for protection and peace of mind. You can have it both black and white as well as a colorful version. 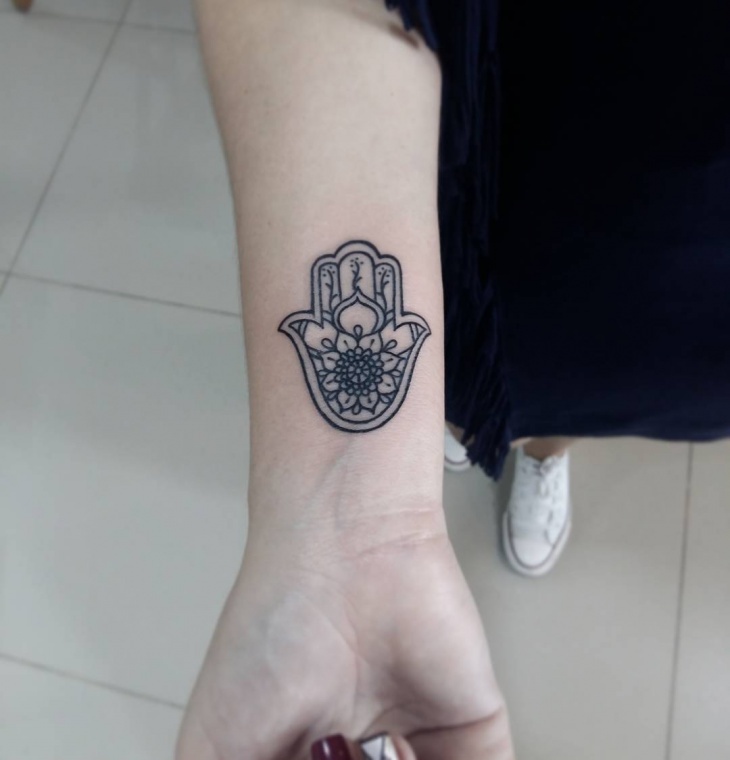 A hamsa design with a flower design on the base. 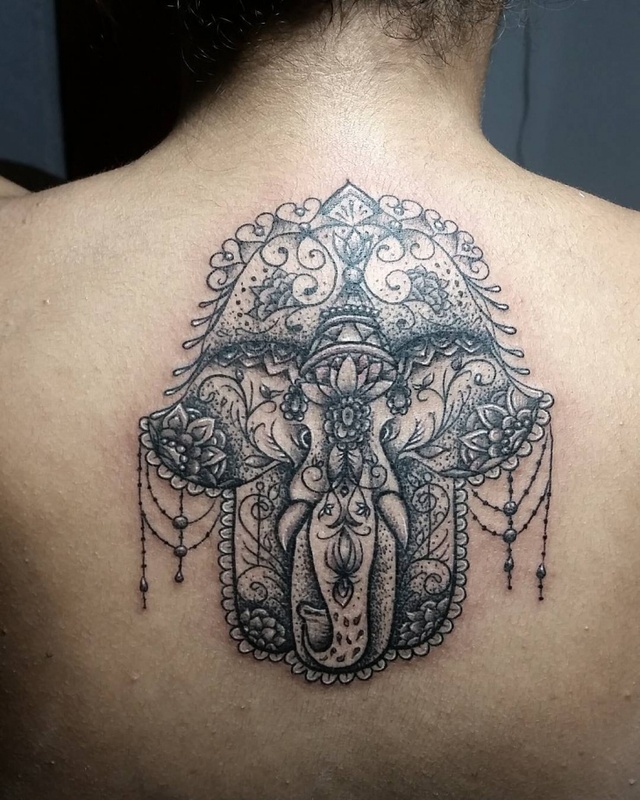 You need to spend some time in the tattoo parlor in order to finish the lining while the shading needs only minimum work as it is not that extended. 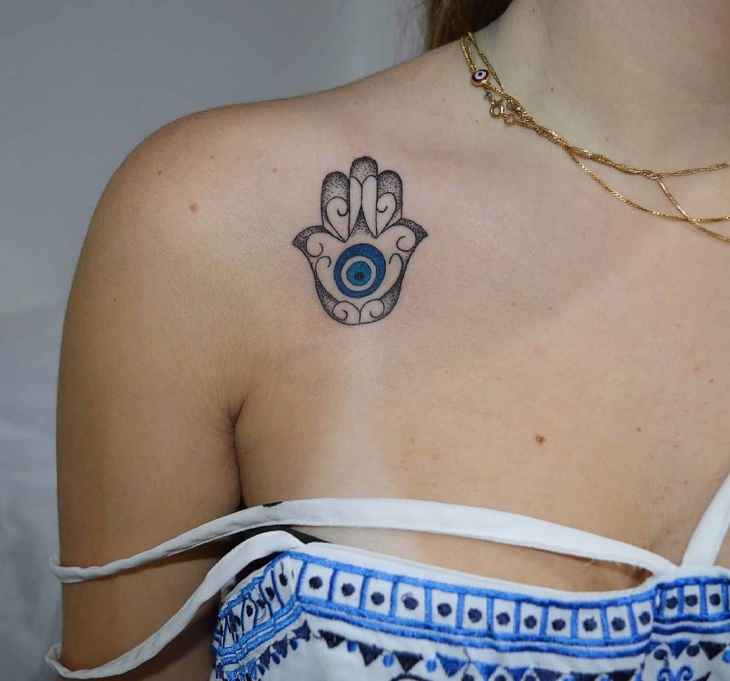 The green setting of the hamsa design with a blue eye triangle create a mystique tattoo. You can choose to have it in black and white and you will still have an amazing result. This one requires great skill. 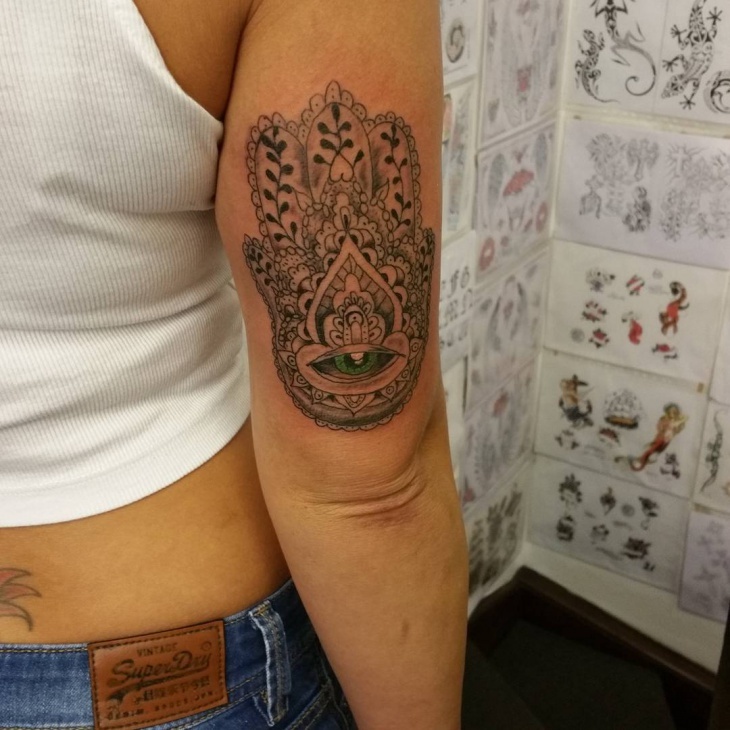 A traditional approach on the hamsa design with an elephant. This is a large tattoo with great detail so it will take a few sessions to complete. 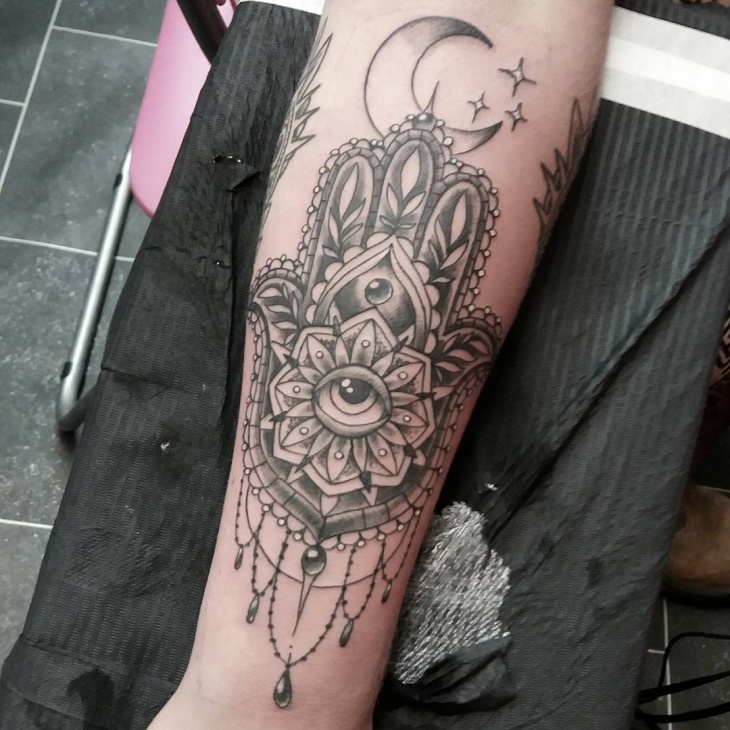 The black and white design creates a stunning tattoo. A design suitable for men. 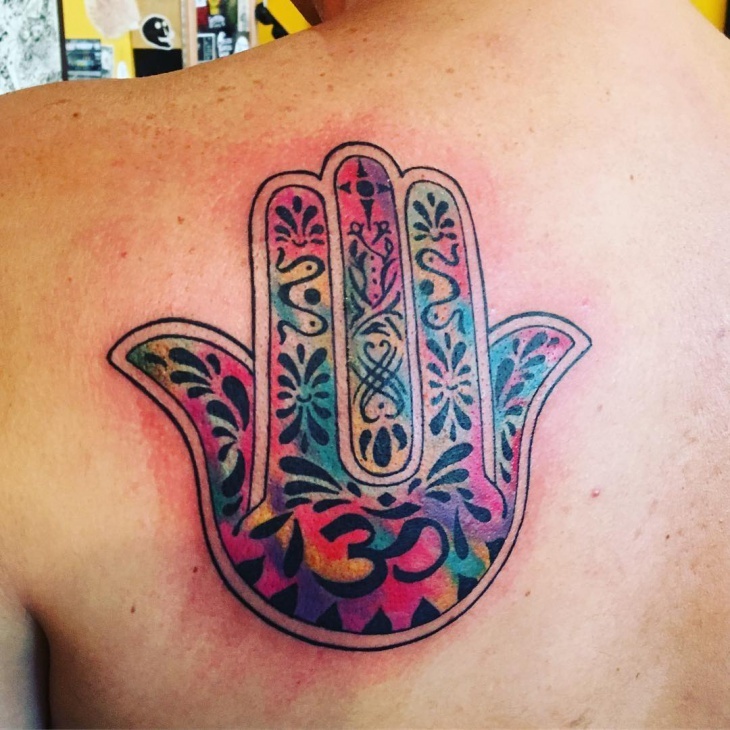 The simple outline of the design along with the inner details creates a contrast with the multicolored background. You can also have it in black and white version that you can color later on. 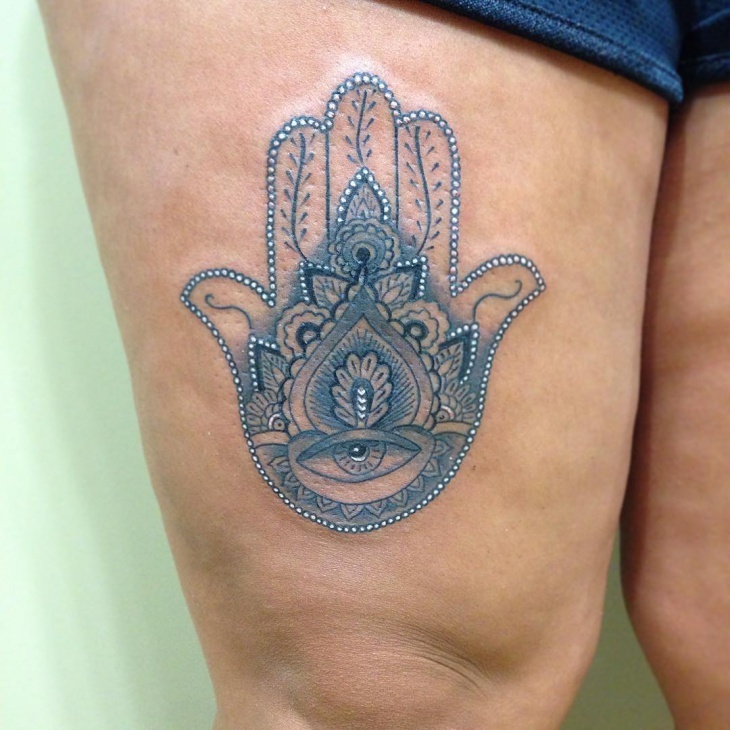 This is an elegant small hamsa design. You can get it in a simple lining or you can have it colored. 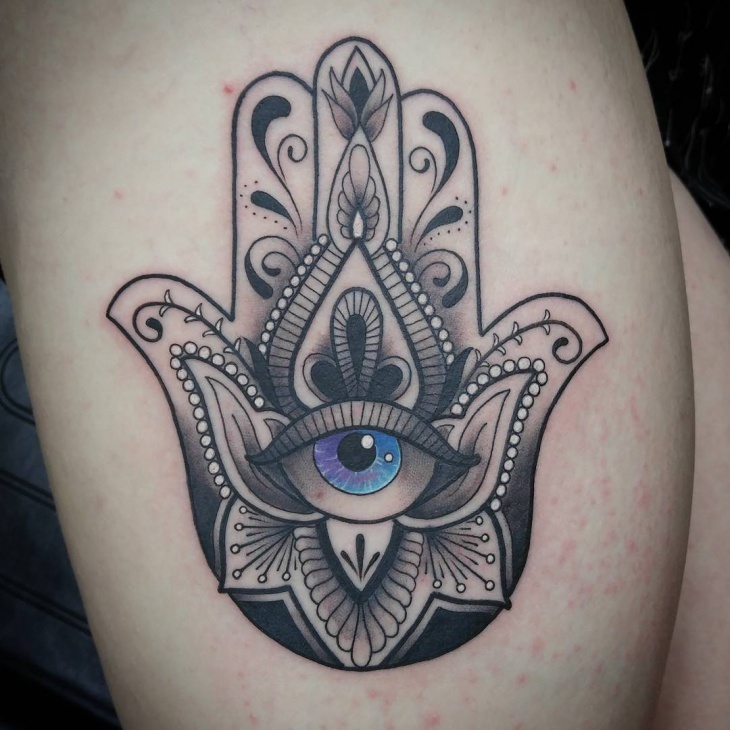 The design will take only one session to complete. 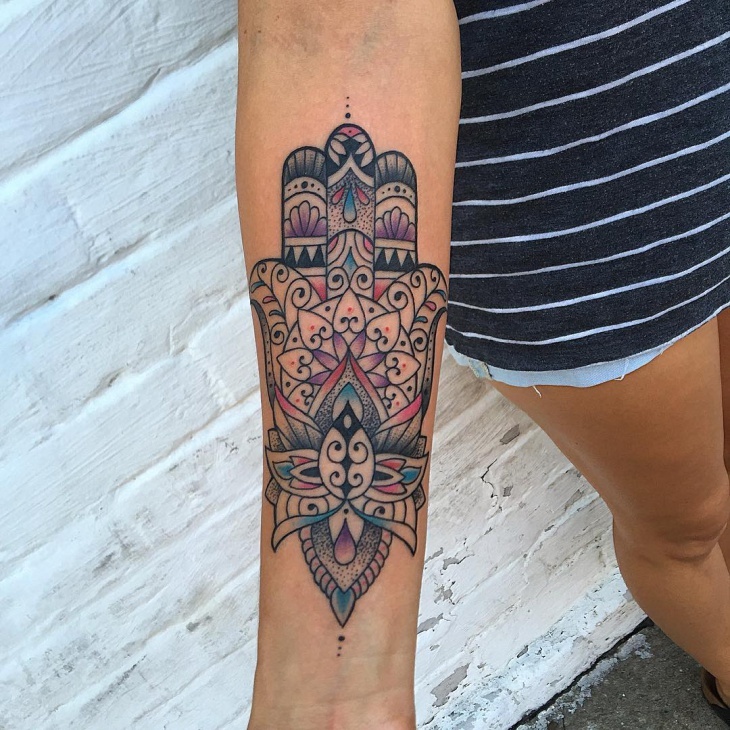 You can incorporate the hamsa design in other tattoos like a sleeve tattoo. 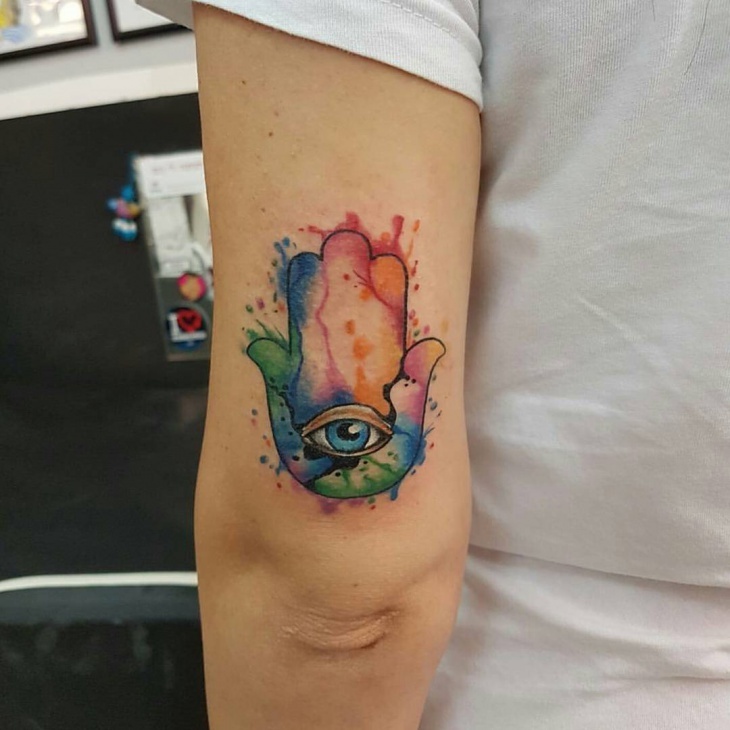 You can have a small subtle one or you can go all out with a large piece of ink art on your body. The protective powers of the design will give you peace of mind and body.